Tristan Donovan graciously answered several questions about his new book Feral Cities (read our review here), the top 3 surprising things about wildlife in the city, and his next book project. You write about the genesis of the book on pages 4-6. It began with red foxes in the UK. Can you tell us how you chose the cities you include in the book? Did you travel to more cities than you included in the book? Each one began with me, Atlas open, scanning the pages and going, 'Indianapolis - I wonder what might live there' or 'Phoenix! That's bound to have something'. Then I'd try to find out what animals were living there and whether there was a researcher or animal control team who could show me what was happening there. All the cities I visited are in the book but there were plenty more I would have gone to if money was no object. Your first two book books are quite different topically from Feral Cities. In what ways was it different to research and write this book? Feral Cities was very different. Replay and Fizz are history books so the research was mainly going through archives or doing remote interviews. By contrast Feral Cities involved traveling to places, tracking down animals and seeing what was going on first-hand. That changed the writing too. In Replay and Fizz I'm a silent narrator but in Feral Cities I'm often recounting what I saw so I'm a presence in the book, which gives it a bit more of a travel book flavor. I expected the coyote, songbirds, baboons (from seeing the cover). Not even the rat or roach were surprising. But I did not expect the chicken. It's so different than escaped pets gone wild. The chicken is a domesticated animal + food source gone wild. Are there other animals that fit in this category? There are a few. Feral dogs are probably the most common example, it's a particular problem in some of the former communist countries of Europe. When communism collapsed, people abandoned their pets because they couldn't afford to feed them so there's now sizeable populations of feral dogs in Bucharest and Moscow for example. In India there are feral cows. Indian cities have these tiny dairies with one or two cows that sell the milk and they often have a, shall we say, lax approach to containing their cattle. So sometimes the cows go awol and end up eating garbage and plastic bags. The chickens in Miami have a much nicer life. Can you tell us the top 3 surprising things you learned about feral life in cities? One of the most surprising things is that cities can help protect endangered species. I didn't expect that. It's not enough to make up for the losses caused by urban expansion but enough to make it possible to think that cities could have a role to play in conservation. I was constantly surprised at the ways animals adapted to city life too whether it's coyotes learning to cross the road or house sparrows working out how to operate automatic doors. Another surprise is how little we know about the bug life in our homes. I assumed someone would have studied it but no, we know very little about household ecology. You have creatures like the house centipede and we know barely anything about its behavior and role within the strange, unexplored miniature ecosystems we call home. Did writing the book change any of your perceptions about cities and wildlife? Totally. Before writing it I was fairly oblivious to urban wildlife. I might see a pigeon and avoid stepping on it but I wouldn't think about it at all. Now I find myself scanning for urban animals everywhere I go and appreciating it. If you were asked to spearhead a "Feral Cities" campaign or department in your city, what would it look like? Are there cities that you would consider model cities? It'll be a mix of education and planning reform I think. I think raising people's awareness of what lives alongside them is a good thing - not just because it could reduce the problems caused when people feed some animals but also because it can help people enjoy city life more. On the planning side it would be great to be able to encourage development that supports animals, maybe through encouraging the connection of green spaces or creating places that help animals to live within the city. I'm quite taken by Berlin's on-off vision for connecting up all of its green space, it's not happened but it's a great idea. I would want the campaign rooted in realism too though. More wildlife in cities is great, but there's got to be a balance. If, for example, there's lots of urban deers causing traffic accidents or Canada geese threatening aircraft safety that's got to be dealt with. But an opossum knocking over your trash can, that's fine. Of the animals you profile in the book, what are favorite 3? Why? 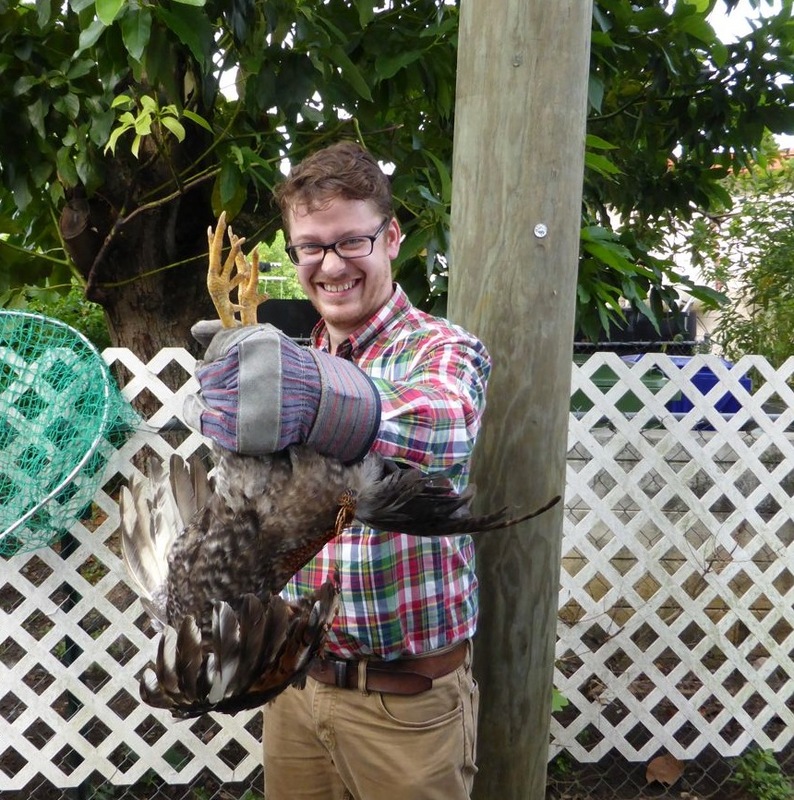 The chickens in Miami were great, I loved the way their presence reflects cultural attitudes and I don't think I'll ever forget the image of the team running around the streets with chasing chickens with fishing nets. I thought the stone martens in Berlin were great too with their strange territorial relationship with automobiles. The way that behavior has spread around central Europe is amazing. The baboons of Cape Town and how they acted like criminal gangs are another favorite. What will you write about next? Board games! I've just signed a deal for a book about board games, not a history more a look at what they tell us about ourselves. Also it's about time I gave Replay an update so a second edition of that is also on the cards. But I'd love to do a sequel to Feral Cities. I've already got a long list of animals and cities I want to cover if that ever happened. Thanks for taking the time, Tristan. I appreciate your thoughtful responses. All photos courtesy of Tristan Donovan.